Our Howick family dentists enjoy providing a relaxing experience and gentle care to individuals of every age. Working closely together enables A+ Dentists to provide comprehensive dentistry six days a week, right here in our Howick practice. Dr Rishi loves creating a calm, relaxing atmosphere for all his patients, often playing instrumental music in the background. He focuses on providing high quality conservative treatment with the best possible technology and materials available. Patients that have been seen by him always comment on how gentle and reassuring he was throughout the procedure. 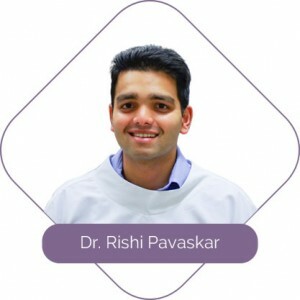 Dr Rishi is known for keeping up with all the new developments in the rapidly changing field of dentistry with regular continuing professional development courses. In his free time, he enjoys playing badminton, tennis and chess. Dr Dhara is known for her friendly smile. Always trying to keep your best interests in mind, Dr Dhara strives to provide personalised high quality care. She enjoys discussing long term dental care plans and taking a preventive approach. Patients who have been seen by Dr Dhara always comment on how comfortable they felt and how patient she was in answering all their concerns. 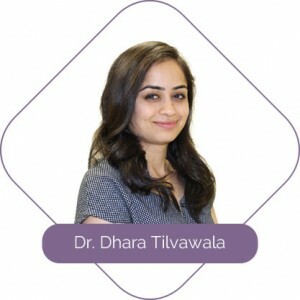 Dr Dhara also enjoys attending many continuing professional development courses and keeping up with the world of dentistry. When she isn’t busy being a dentist, Dhara enjoys reading, being outdoors and spending time with family. 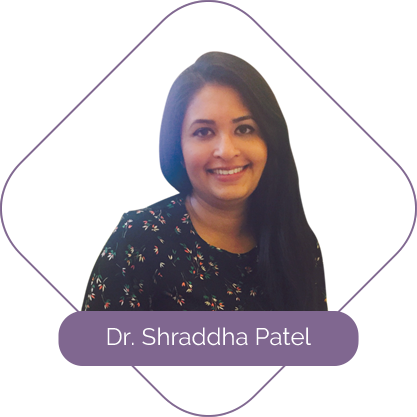 Dr Shraddha’s patients describe her as gentle and informative. She believes that the best decision can only be made when all the relevant information is given. She will spend time planning your treatment with you and always encourages you to ask questions. Shraddha is an experienced dentist having worked in private, public and emergency dentistry in both Australia and NZ. She is interested in all aspects of dentistry and has a special interest in minimal intervention and cosmetic dentistry. Shraddha regularly attends courses to keep up to date with the latest technology and skills. Outside of work, Shraddha loves food, wine, reading and travelling. Dr Ling graduated from medicine at the end of 1999. He worked in various capacities as a medical practitioner until 2003. In 2003, he started working as an intensive care doctor and subsequently as a maxillofacial surgery doctor. His further training then took him from Townsville to Melbourne to Hobart then Hamilton and Auckland. This 14 year extensive training experience means he has managed thousands of sedated patients and removed thousands of wisdom teeth. After his dental degree, he completed 8 years of gruelling training time in oral and maxillofacial surgery. 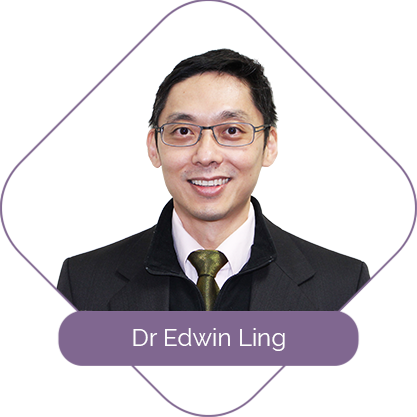 Dr Ling is often praised by his patients for his skills and demeanour. He will work together with you to find the best solution of your choice. 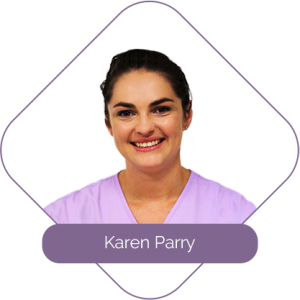 Karen is passionate about providing high quality dental hygiene and therapy. Patients often comment on her ability to make them feel at ease and relaxed during treatment. She has a calm and patient nature with a thoroughness and attention to detail that her clients appreciate. She is experienced in both the private and public sectors of dentistry so she has worked with preschoolers through to the elderly. Karen is committed to ensuring her knowledge is current, and is therefore a regular attendee of dental conferences and courses. Outside of work Karen enjoys CrossFit, cooking and spending time with her family. As our practice manager, Rebekah looks after the day to day running of the clinic. She is always updating herself with codes of practice, cross-infection control and new materials and equipment. 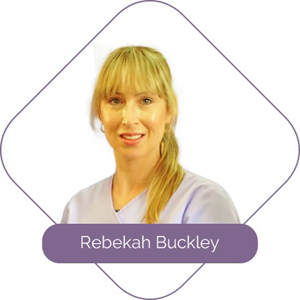 Rebekah has enjoyed working in the dental industry for many years, with experience working in many different environments with different people. She is friendly and approachable and is usually the first point of contact. In her spare time, she loves being with her kids and travelling. Looking for a dentist in Howick that’s open late or on Saturdays? Contact A+ Dentists today to book your first visit with us.